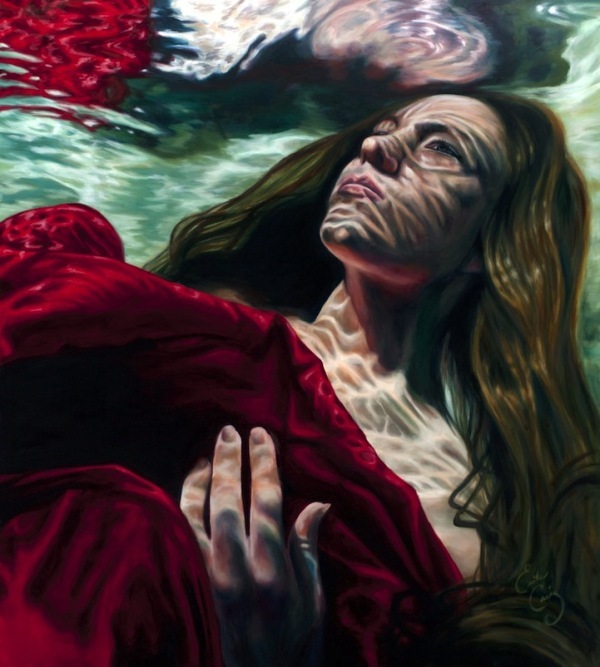 An artist named Erika Craig based from California paints extraordinary images of women submerged in water, deep in thought. 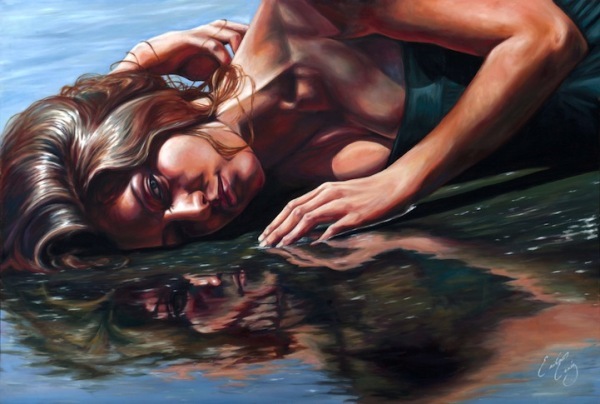 Though one can only imagine what these pensive ladies are thinking, there is an unmistakable connection between the subjects and their environment. 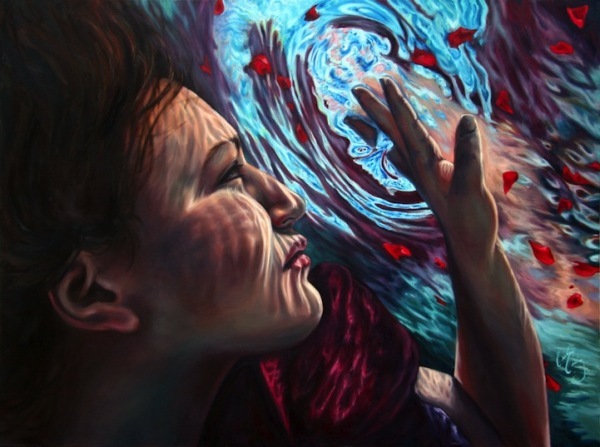 Water has transformative qualities that extends beyond visual distortion. The natural mirror effect of the element forces one to self-reflect. 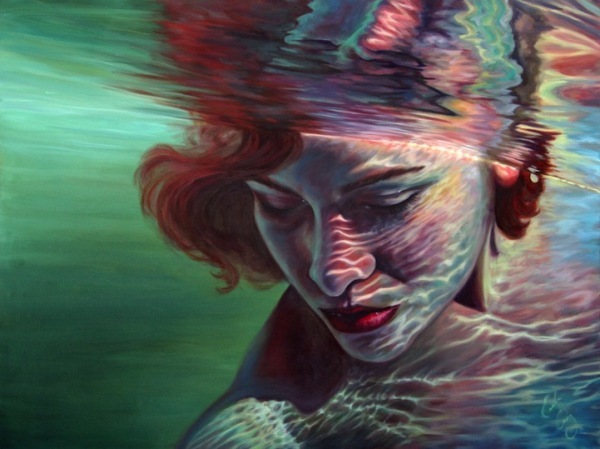 Ironically, each of Craig’s underwater paintings exhibit a moment to catch one’s breath and disconnect from vanity. 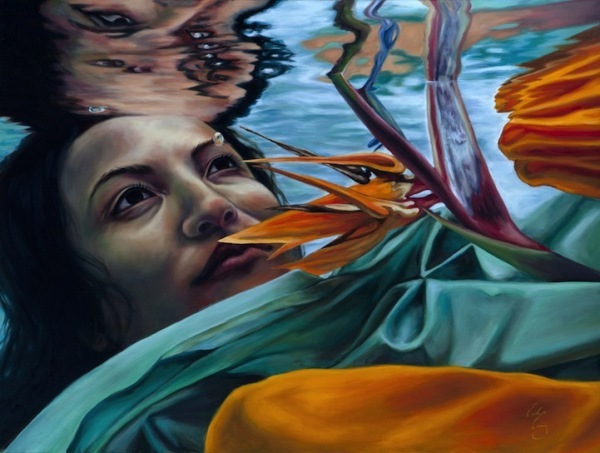 The series presents an astute representation of a meditative trance in which one can simply float, welcoming the ripples and refracted light to redefine your physical image.